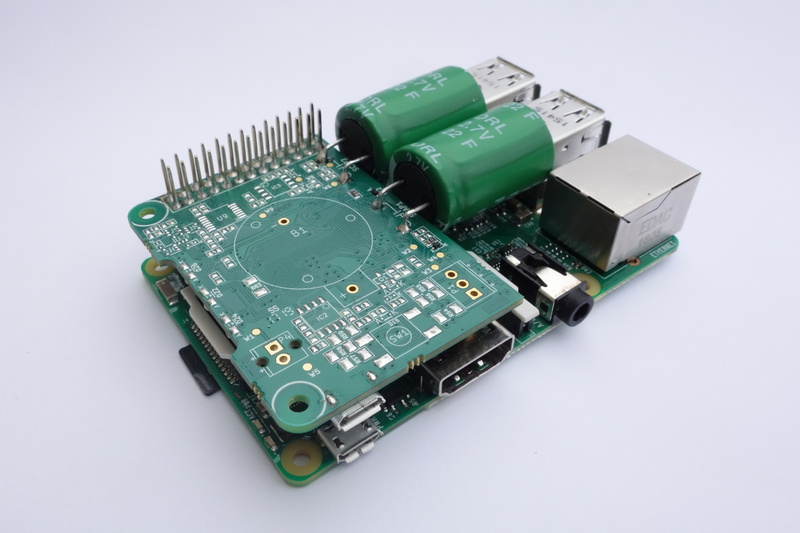 The 5V-USB model requires a 5,0V…5,25V power supply with a Micro-USB connector. 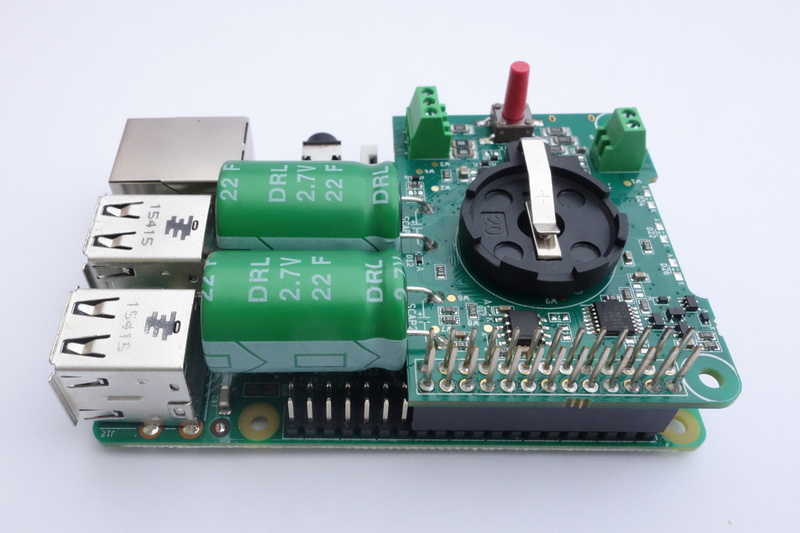 We recommend using the standard 5,1V/2,5A power supply for Raspberry Pi 3. 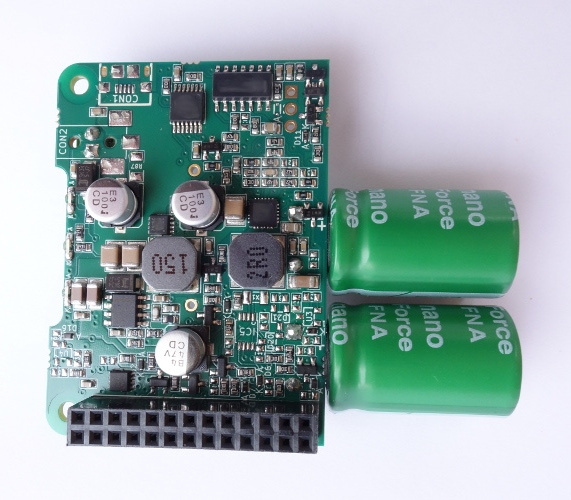 The HV-TRM model requires a 7V…28V power supply with open wires. 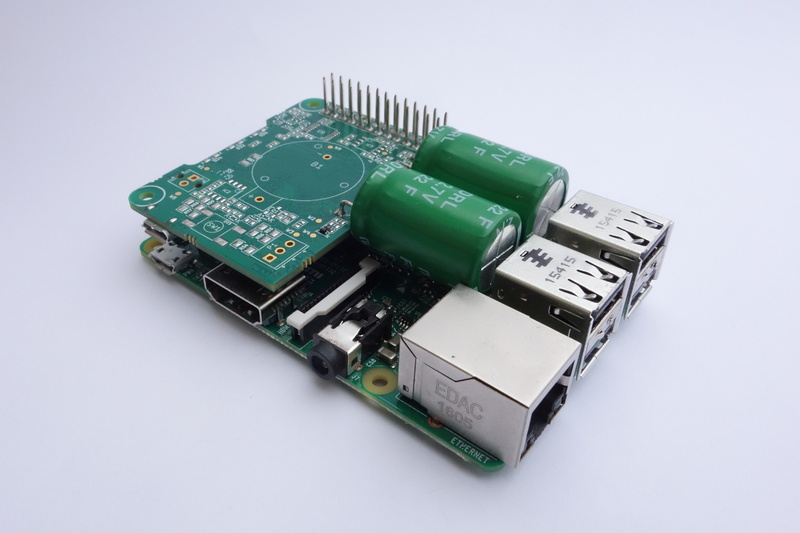 The wires are inserted into a screw terminal on the top side of the board. 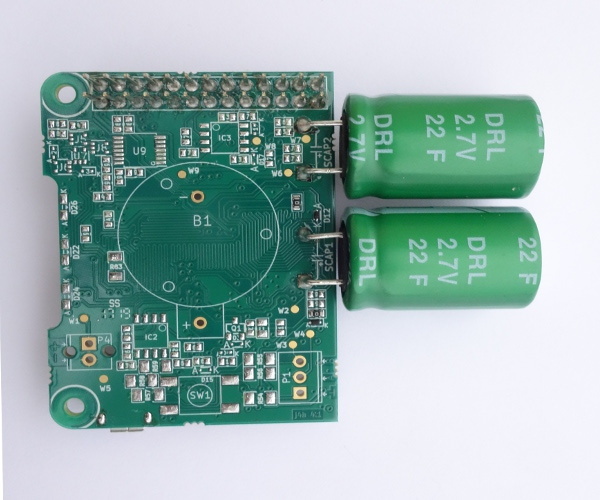 The required current depends on the voltage of the power supply. 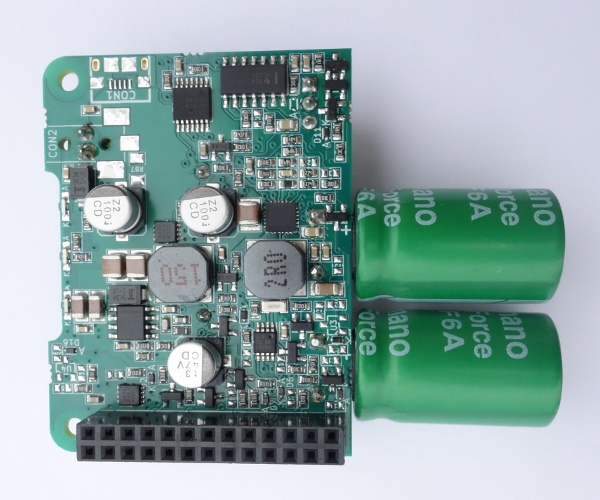 The RTC-485 model requires a 7V…28V power supply with open wires. 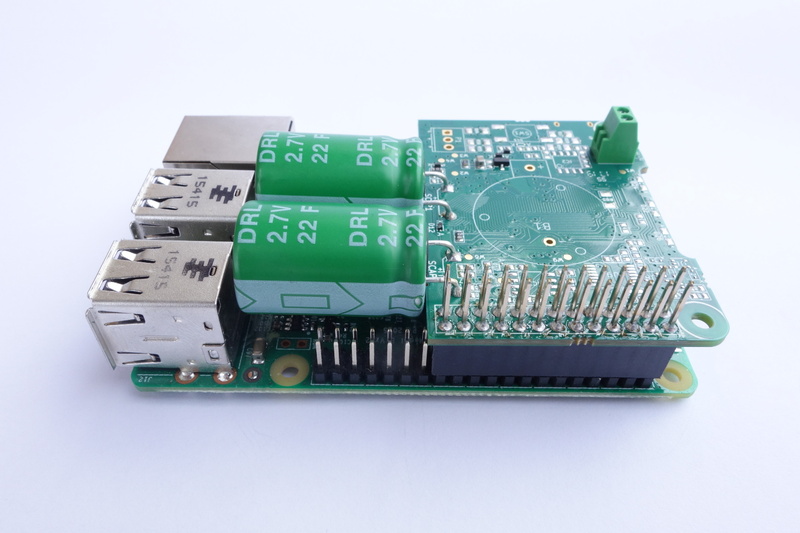 The wires are inserted into a screw terminal on the top side of the board. 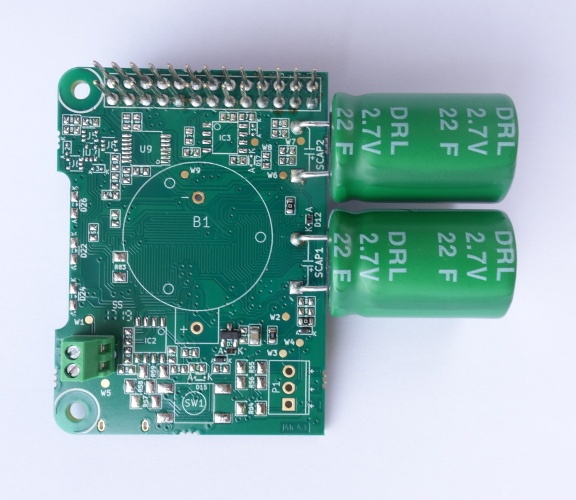 The required current depends on the voltage of the power supply. 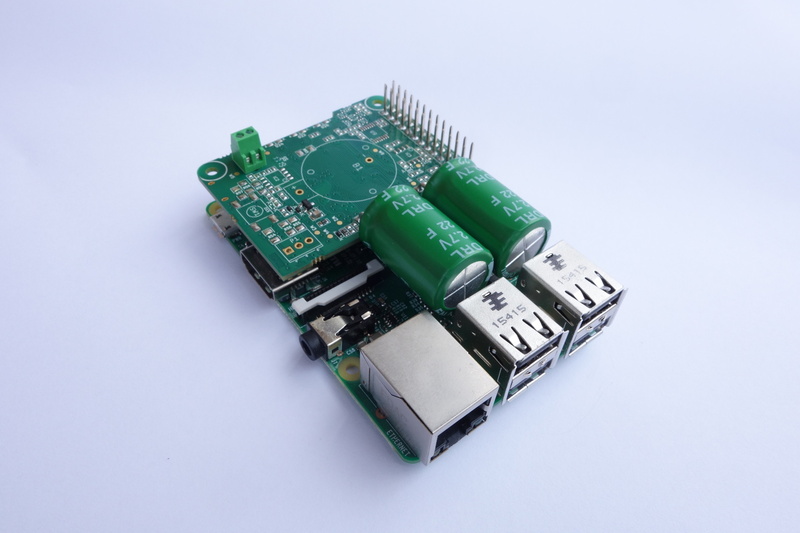 The RS-485 Interface is accessed via a 3-pole screw terminal. 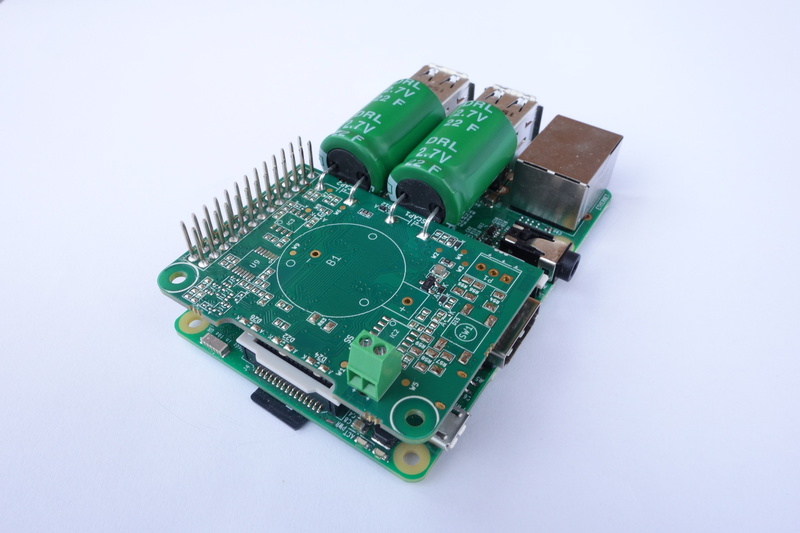 The Real-Time Clock uses a lithium coin battery for power backup, when the Raspberry Pi is powered off. 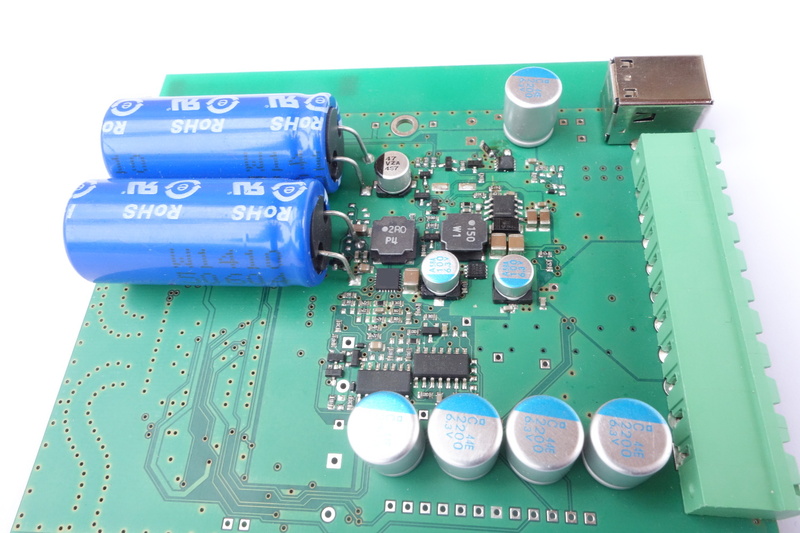 The battery holder is also situated on the top side of the PCB. 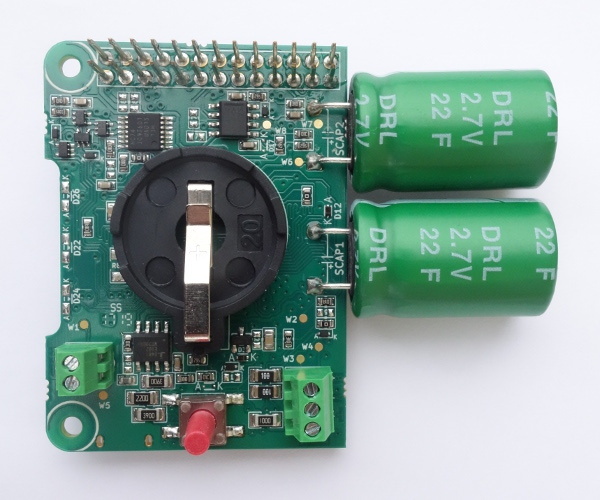 A push-button is used as Power ON/OFF switch, and perfectly fits into the shutdown and booting scenarios, leading to a function very typical for all laptop-power-on/off buttons or for ATX power supply soft start buttons. 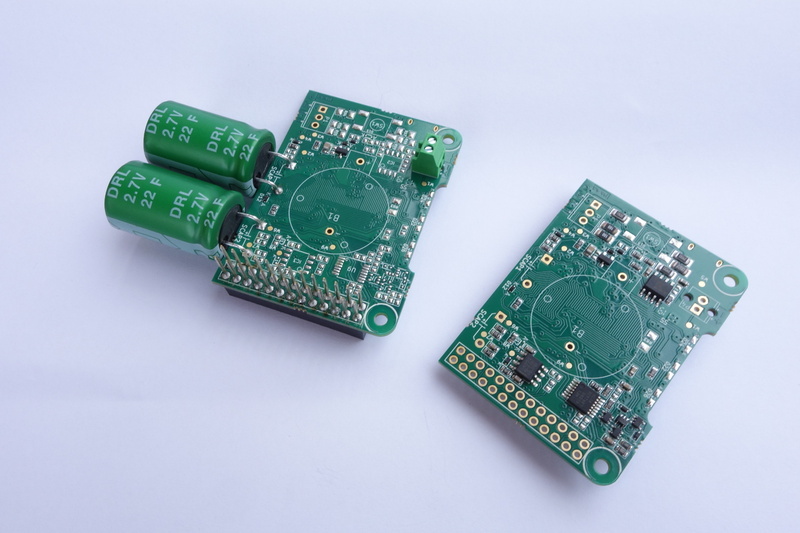 ﻿All Juice4halt models are based on the same PCB design. 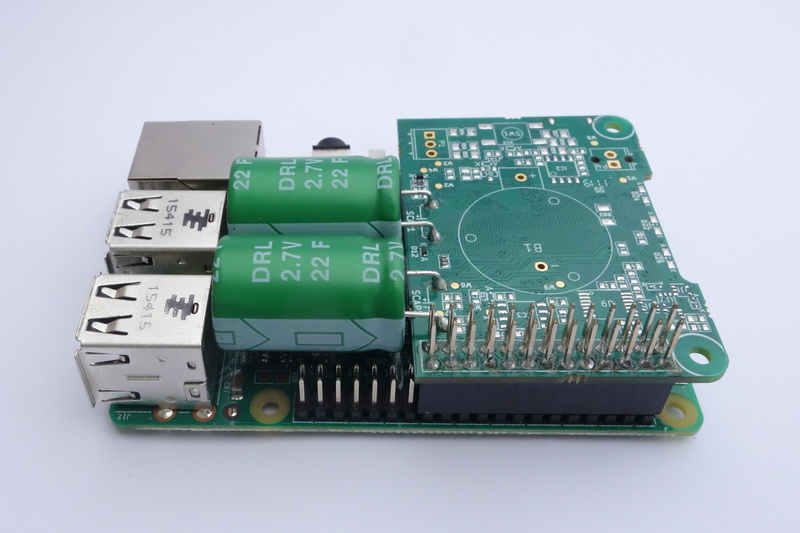 You can adapt the board yourself by soldering/unsoldering the Configuration jumpers or by changing the board assembly. Please, read our Application Note 171 for further information. 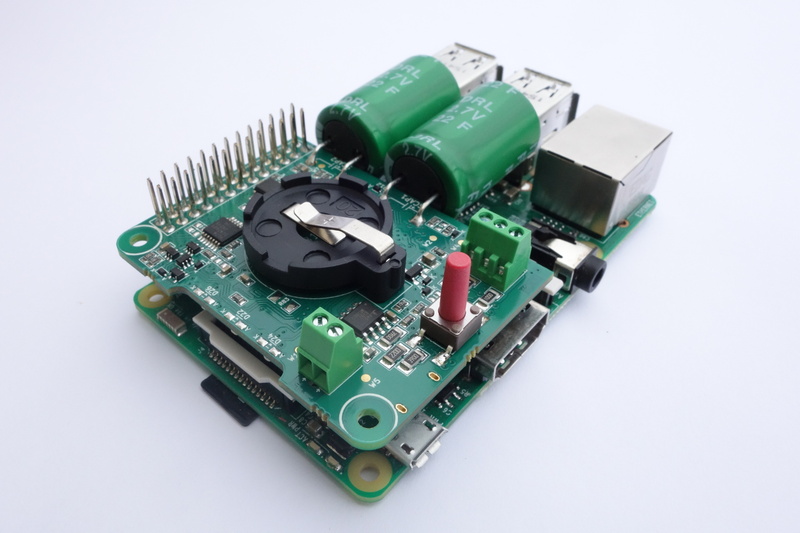 For high quantity orders we can offer you to customize the boards directly in the factory. 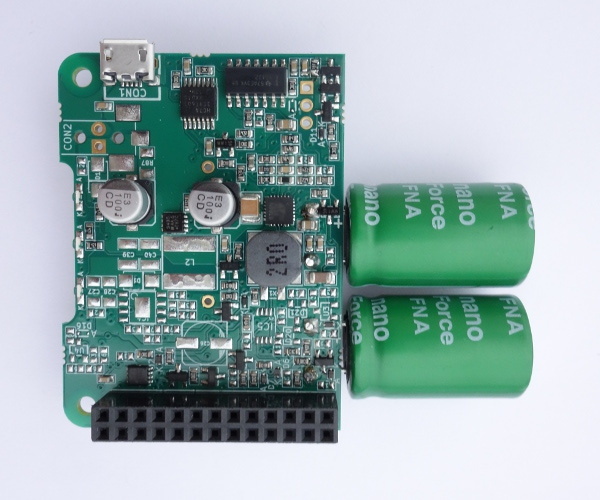 It is also possible to select particular features and combine them into a new model (Example: 5V input with ON/OFF button, without RS-485 and Real-Time clock). Please contact us﻿. We love designing electronic circuits. Especially the ones based on our Juice4halt board. 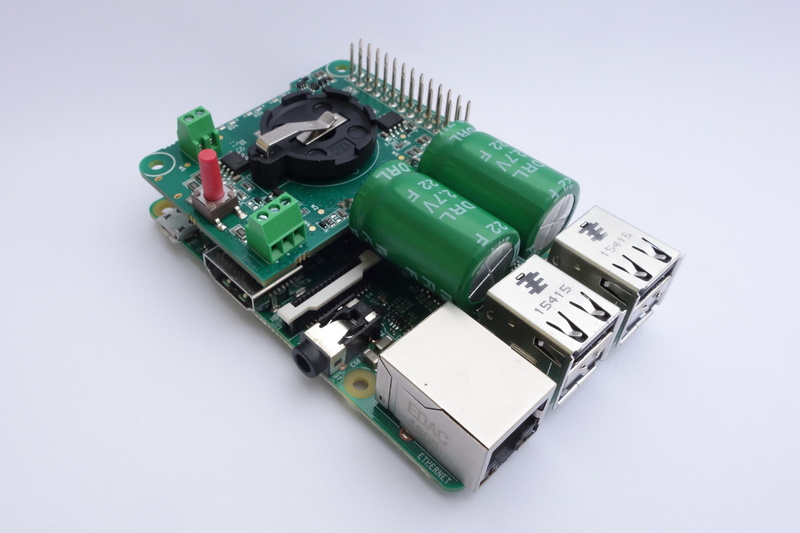 Let us know if you want to integrate our circuit into your board design. 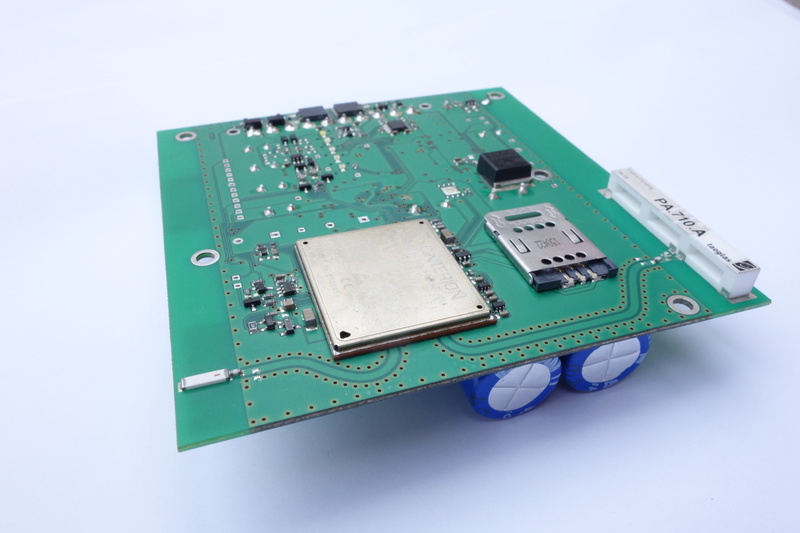 It doesn't matter if you need a 3G communication engine or a few galvanically isolated communication lines on your new board. We have the experience you are looking for.